In the spring of eighteen twelve, the United States and Britain were moving closer to war. Congress had approved a ninety-day embargo to stop American ships from leaving home. And American ships in foreign ports and at sea were ordered to return to the United States. President James Madison requested the embargo to prevent the capture of these ships once a war started. Today, Maurice Joyce and Stuart Spencer begin the story of the War of Eighteen Twelve. The president was sure there would be war. He had seen the instructions from London to British minister Augustus Foster. The British foreign minister warned Foster to say nothing about any compromise. He wanted the United States to see how firmly Britain would continue its orders against neutral trade with the enemies of Britain. President Madison had hoped for some sign of compromise. But there was none. Congress continued to prepare the nation for war. Lawmakers voted to increase the size of the army and to borrow money to pay for things the larger army would need. But not all members of Congress wanted war with Britain. Many Federalists, especially, opposed it. Some of them tried to end the embargo only a month after it began. Congressman Hermanus Bleecker showed the House a list of hundreds of names from his area of New York. He said all these people opposed the embargo and the idea of war with Britain. "It is impossible," he said, "that we can go to war when the embargo ends, sixty days from now. Where are our armies? Our navy? Have we the money to fight a war? Why, it would be treason to go to war this soon, so poorly prepared." 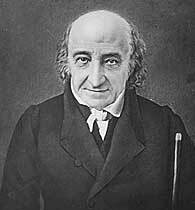 Treasury Secretary Albert Gallatin was having a difficult time finding money to borrow. He could get almost no money at all from Federalist New England banks. Congress had approved borrowing eleven million dollars. But Gallatin found the banks would lend only six million to the United States government. The Federalists charged that Gallatin's difficulties showed the people did not want war, especially the people of New England. If the people of the West and the South wanted to fight, then let them pay for the war. Republican John Randolph also spoke against the war. "How could the administration speak of war when it did not even have the courage to order taxes to raise money? Are we to go to war without money, without men, without a navy? The people will not believe it." John C. Calhoun answered Randolph. "So far from being unprepared, sir, I believe that four weeks from the time war is declared, we will have captured much of British Canada." British warships had violated the American flag at sea. The British navy had seized and carried off persons protected by this flag. British warships also violated United States waters, interfering with American ships as they entered and left port. Another reason, he said, was Britain's orders against trade with France or allies of France. International law, he said, gave Britain no right to make such orders. Madison also spoke of the hostile Indians of the northwest territory, and seemed to charge British Canada with helping the Indians. The president's message was sent to the Foreign Affairs Committee of the House for discussion. The committee's report was made two days later by chairman John C. Calhoun. He proposed that the House declare war. The House, meeting in secret, heard the report. Federalist Josiah Quincy proposed that the debate should be made public. This proposal was defeated. The final vote on declaring war was seventy-nine for and forty-nine against. In the Senate, the vote was even closer: nineteen for and thirteen against. President Madison signed the bill on June eighteenth. The War of 1812 had begun. The leaders in Washington did not know it, but Britain -- two days earlier -- had ended its orders against neutral American trade. The orders might have been withdrawn earlier, except for a number of events. 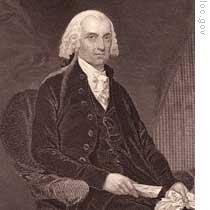 British Prime Minister Spencer Perceval, under great political pressure, had decided to end the British orders on neutral trade. Businessmen and traders were loudly protesting that the orders were destroying England's economy. On May eleventh, before Perceval could act, he was shot to death. Not until June eighth was agreement reached on a new prime minister, Lord Liverpool. Eight days later, his government announced that the orders were ended immediately. This was only two days before war was to be declared in Washington. And, with ships the only method of communication, the British action was not learned of in time. If the United States had had a minister in London during the spring of eighteen twelve, he would have been able to report progress toward ending the orders. But the American minister, William Pinkney, had returned home a year earlier. On the day that war was declared, the United States was far from ready to fight. There were only about eight thousand American soldiers. And most of them were serving in the West. The United States had only a few warships and gunboats with which to face the British navy -- the most powerful naval force in the world. Worst of all was the division among the people of the United States about the war. It was strongly opposed in the Northeast. Church bells were rung and flags lowered in New England when the declaration of war was announced. Massachusetts, Rhode Island, and Connecticut refused to let their state soldiers follow the orders of the national government. The United States could not have lasted long against the military power of Britain had it not been for the war in Europe. Most of Britain's forces were battling the soldiers of Napoleon Bonaparte. Britain could send only small forces to fight the Americans. The United States tried to increase the size of its army. But the United States had not fought a war, or needed an army, for a long time. The officers who led troops in the Revolutionary War were old men, and tired. The young men had never fought and knew little about the ways of war. Two top generals were named by President Madison: sixty-two-year-old Henry Dearborn, and Thomas Pinckney, sixty-three. Most of the other generals were almost as old. There also was the problem of getting enough men to serve as soldiers. Congress had approved an increase of twenty-five thousand men. Only five thousand agreed to serve. Members of Congress from the western states had spoken proudly of how their people would rush to fight the British. This did not happen. The first request to Kentucky for soldiers produced only four hundred men. The United States decided the first attacks should be made against Canada. 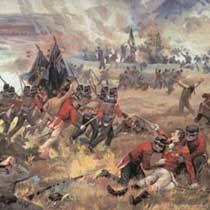 There were only about twenty-five hundred British soldiers guarding the border between the United States and Canada. Four campaigns were planned. The first of these was led by an old Revolutionary War soldier, General William Hull. General Hull and his two thousand men were ordered to march from southern Ohio to the city of Detroit, in the Michigan territory. 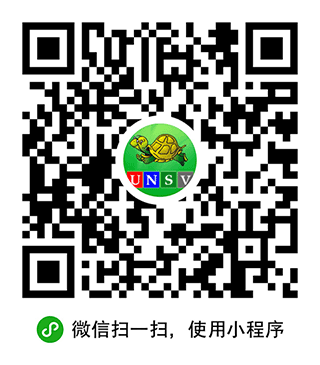 They had completed the three hundred kilometer march before war was declared. Hull was given immediate orders to invade Canada. The old general crossed the border and attacked the British at Malden. But the British general there was prepared, and the attack failed. Hull retreated back to Detroit. He was chased by a smaller force of British soldiers and Indians. Although Hull had the stronger force and plenty of supplies, he surrendered Detroit to the British. After the war, Hull was tried by a military court on charges of cowardice. The court found him guilty and ordered him shot. The president, because of Hull's service during the Revolutionary War, permitted the old soldier to live. Our program was written by Frank Beardsley. The narrators were Maurice Joyce and Stuart Spencer. Join us each week for THEMAKING OF A NATION – an American history series in VOA Special English. Madison declared war on Britain in 1812. Athough they had not enough preparation, the president order his soldiers to attack Canada. The battle was defeated by Britain and the commander lost Detroit. at that time the American military force was weak because of no war almost fifty years after the Independence war. Fortunatly, the British was in the war with French, so they coudn't concentrate their whole power to fight America. it was lucky to America.